A Simple Jew: Guest Posting By Chabakuk Elisha - Another Kind Of "Blood Libel"
Amen. Have an awesome week. CE wrote: "My first reaction to this article was annoyance, anger, and disgust – but I'll get back to that." I think that is a "Galut Mentality" sort of an inferiority complex getting upset because some won't use the blood of an einu-yehudi. Was the Talmud Bavli a product of a "galut mentality" as well? On purely halachic grounds, the fact is that this minhag is a pikuach nefesh. Blood products are pooled from hundreds of donated units and refusing to take such blood measn that some people would not accept blood, platelet or fresh frozen plasma even in emergency situations. This is reason enough, even for those who do not know enough to factor in the concept of eivah, chillul hashem, and plain offensiveness of the notion in the light of the long history of anti-Jewish use of the concept of 'purity of blood", staring with "pureza de sangre" in post-exilic Spain. It's offesnive on moral grounds as well. 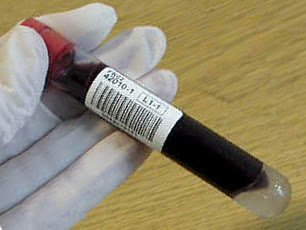 Volunteers donated this blood to help others - what about the obligation of grattitude. Beautiful post and I of course can't help but agree with R' Soloveitchik. Because when I think "racism", I know "loathsome barbarity" is right up there with the descriptors I'D use. Seinfeld: Father, I think Watly converted to Judaism just for the jokes! Priest: And this offends you as a Jew? Seinfeld: No, it offends me as a comedian. My understanding is that organ transplants and blood transfusions are totally acceptable between Jews and Gentiles, and that's coming from Orthodox rabbis. Establishing the differences between Jews and Gentiles is quite difficult in my experience. It's hard to pin anyone down on it. A rabbi I trust said the soul of a Jew is different so that he/she can perform the tasks necessary for a Jew. A different rabbi at the service I go to said the same. He then said that it's not that Jews can accomplish things Gentiles can't though, which makes no sense to me. I pushed him on it, letting him know it doesn't offend me (a non-Jew) in the least if it is true that Jews can do things I can't, so he should just explain it. He said that Jews have an agreement to do a certain job and the equipment to do it, but that they are in no way, shape, or form better and he refuses to even discuss it in those terms because he's sick of the people in his congregation walking around thinking they are better than other people. So he has that axe to grind which is really important, I agree, but it keeps him from actually answering my question. (And the congregation about which he’s speaking has some serious superiority issues- internally and externally.) So I asked, "If we both say the same prayer, does it do something different coming from you than from me?" He said, "No." Which I've also heard from other Orthodox sources as well. But these are all people who are fond me so who the heck knows. Another rabbi I know, who seems to find non-Jews frightening and irritating, would probably give me an answer, but it would probably be tainted by the fact that he just wishes I would go away. I would also add it doesn't have any effect on what I do either way what the answer is. I just try to do what I'm supposed to do. Rav Chaim Vital was not only the talmid muvhak of the ARI zal but he received semichah from the Beis Yosef. So he grasped how Chazal wanted us to think. And he wrote in Shaarei Kedushah that we should love everyone, including non-Jews. How can we reconcile that with remarks that seem to take the opposite view? 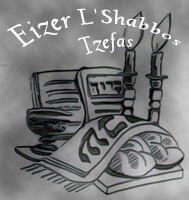 Please see Tiferes Yisrael on Avos, Perek 3, in the Mishnah "chaviv adam she-nivra be-tzelem." Rabbi Sears: I think you misunderstood me. I actually agree with you. I was commenting on the ridiculous annonymous comment that Chabakuk Elisha's insightful posting represented a "galut mentality". I was saying that if you hold that Chabakuk Elisha had such a mentality, you would also have to say that the Amoraim of the Talmud Bavli did as well since they lived outside the Land of Israel. In my opinion, we ALL have a galut mentality until Moshiach comes! As students of Jewish history know, the "blood libel" was an accusation that Jews used Christian blood in the baking of matzoh. This accusation led to brutal pogroms against our people. It is therefore offensive to refer a certain minhag as, "Another Kind Of 'Blood Libel' " - as if those who follow such a minhag are guilty of the same crime as those who tortured and murdered us. As a student of Jewish history, I find the title of this article to be out of place and in poor taste. I have devoted my life to studying and teaching the universal vision of the Torah, and Reb Dovid Sears and I have been supportive of each other's work in this area. I therefore appreciate some of the other ideas mentioned in this article, but I have learned over the years to overcome the western secular bias of the culture I grew up with; thus, I do not "publicly condemn" teachings, halachos, and minhagim that are cited by any gadol with regard to non-Jews which may sound strange to my sensibility. This caution comes from an awareness that there is so much more Torah that I need to know, and that I may not be properly understanding their words; moreover, this caution also comes from the natural respect I feel for leading Torah sages - a respect which is mandated by the Torah itself. 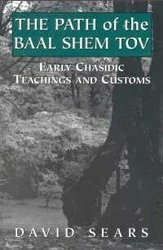 When I come across statements in the Talmud, Midrash, Kabbalah, Tanya, or other sources which trouble me, I think about them carefully, and if I need greater clarification, I discuss them with my rebbe or another noted talmid chacham to try to get a deeper understanding of what they mean. This caution comes from an awareness that I am a "simple Jew." I am not a Lubavitcher Chasid or a member of any other Chassidic group, but I have defended the author of the Tanya and other Chassidic sages from simplistic charges of racism, and I therefore find it strange that I now need to assume this role with a site devoted to Chassidic teachings. Am I alone in this concern? If so, I will need to find another blog to visit. I don't know anything about this "chumra" and pray that no one will ever need a blood transfusion, but Rav Chaim Kanievsky is the one quoted as giving a reason for this "chumra". He is one of the greatest talmidei chachomim and tzadikim around today; one can't just dismiss his words so easily. Why should anyone be upset by this? Why should not taking blood from a non-Jew be any more racist than not marrying a non-Jew. If they would become Jewish the next day, these same people would take the blood. If I'm missing something, please enlighten me. One can still follow this custom and love non-Jews in the same way we are supposed to love everyone but can take ribbis from a non-Jew. Wouldn't marrying a non-Jew cost Jewish lives as oppossed to using blood or an organ from a non-Jew in an emergency situation, which would save a Jewish life? I read the article apparently some of you didn't... or you just read the three words that interersted you so that you can pontificate your preconceived notions. don't choose to close your eyes and ignore what the article says very very very clearly. Rav Chaim Kanievsky never said this is a chumra. in fact I am not convinced that Rav Chaim Kanievsky would even ask for jewish blood in a similar situation and certainly not advise a questioner that he should stick with jewish blood. All he did was find a possible reason why the Ponevezher Rav (No slouch himself) would make such a request. You may all be great intellactuals of the Internet rabbinate and leaders of Jewish internet hashkafa and kabala but a gadol may understand things about influences especially something as serious as the blood we carry that you don't. Paganism, polytheism, and atheism, on the other hand, deny the fundamentals of monotheistic faith and ARE considered illegitimate. What can you say on the subject, concerning some "pagan" views, which on the other hand consider violence forbidden, and are very tolerable to others, comparing to Christian and Islamic bloodshed in the course of history? Why do some people turn everything into a bigger issue than it is. It seems that Rav Kanievsky was pointing out from the gemara that due to dietery issues and lifestlye issues the temperature in a jew's body versus that of a non jew may be different and therefore the Rabbi was afraid the blood would not be compatible. get a life! Where is such statement in the Gemora? Anyhow, the original temperature is irrelevant for the the transmittion of the blood. The blood is stored in cool conditions. Parenthetically, Reb Chatzkel Abramsky zy’”a said that one of the kavonos he had in birchas hamazon by “lo lidei mantas bosor v’dam” was that he should never need a blood transfusion. A number of people have taken issue with my tone in the posting. I am glad to hear that, because I want to point out that my entire posting was a reaction to the tone of the post over at Revach. My post was not about R' Kanievsky or the Ponevezher Rov Z"L. I tried not to make the post about them, and I did so because I sincerely respect them. R' Kanievsky was merely pointing out that there may be a precedent for the Ponevezher Rov's request, and the Ponevezher Rov gave no reason. I am confident that nether of them meant anything racist, my concern and reaction is because the Revach post leaves the reader without any perspective. To me, it was upsetting in the way that a quote out of context is upsetting – because that's precisely what it is: out of context. My post was specifically for that reason: to provide context. Now, as a Chossid, I can relate to sensitivity about kedusha inyanim. And, since our diet surely affects our blood, one might want to avoid blood from a non-Kosher diet. 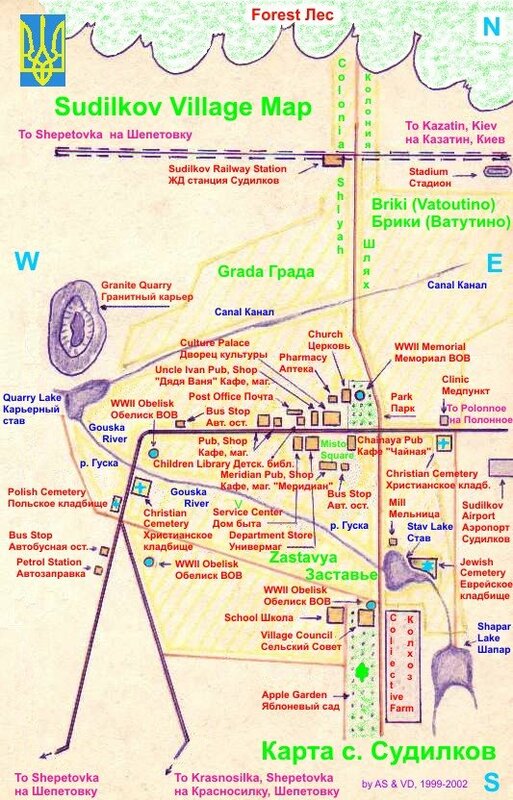 Or one could say that since the yetzer hora, we are told, resides in the blood, one might say that he'd rather avoid non-Jewish blood that may be connected with a non-Jewish yezer hora. And if that's someone's person feeling, that's his business. But, of course, we are talking about pikuach nefesh, and it seems that none of these inyanim should even be relevant (just as we would be mechalel Shabbos, or eat non-kosher food, for pikuach nefesh if there was no choice). But when someone clicks on that site and reads the tshuva, as I did, what do you think the underlying message communicated is? Is it positive? Is it accurate? Does it promote the true universalistic message of Torah? "Drachea darche noam V'CHOL nesivosea shalom (Its ways are ways of pleasantness And ALL its paths are peace)." I think you have a strong point, and hope that Revach L'Neshamah will give us a revach ("break") in the future!